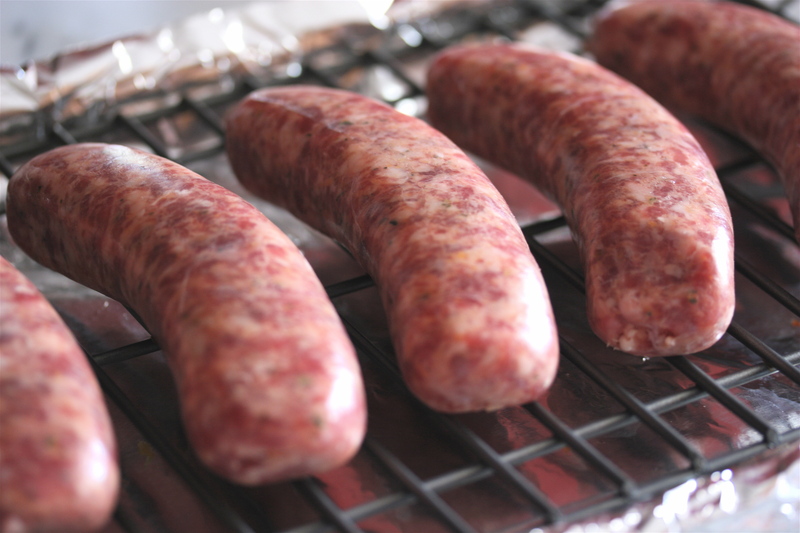 I bake my sausage on a rack at 350 for about 30 minutes turning once. I poke a few holes in each one so they don’t burst. If you’d like to grill yours, go for it. They need to be just cooked through, brown and juicy. In a large skillet over medium heat, put the oil in the pan and add all the onions. 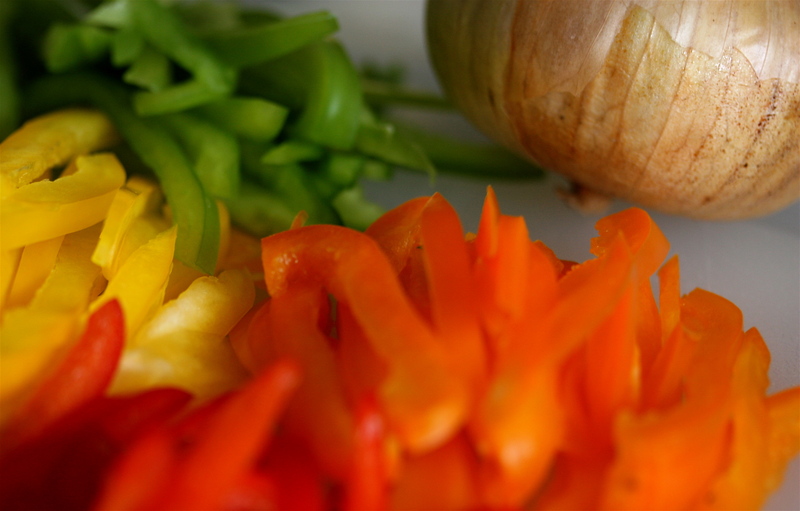 Toss to coat with the oil and cook, stirring frequently until translucent and almost tender. This will take about 15 minutes. This isn’t a quick procedure and if you rush it along you will lose some of the final texture and flavor. 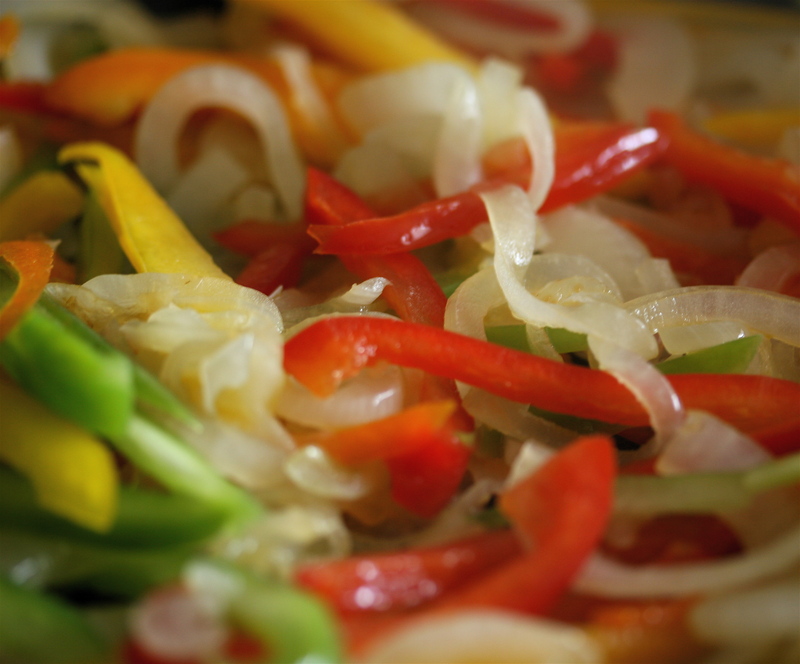 Add all the peppers, salt & pepper and toss to mix with the onions, turn your heat down to medium low and cook the onions and peppers, stirring often until both are soft and tender, the onions have some golden color. This will take another 30 minutes or so. Add your sausages in (either cut them in half lengthwise, or slice them on the bias (my preference as I think the flavors join together better with this cut)along with any juice on the cutting board on in the bottom of the cooking pan) and toss them with the peppers and onions and cook for another 5 to 10 minutes so the juices of both mingle and join to form their own sauce. Put on your sandwich roll and enjoy! 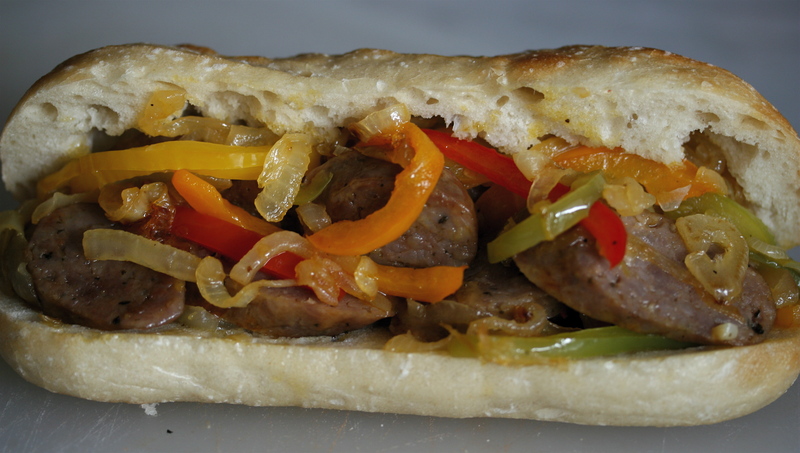 note: I scoop out some of the bread on either side to made a hollow for the sausage and peppers to lay in. You can get more in and it will handle a bit better. Beautiful memories, told so well. I feel like I’m there. I love the way food can take you back to a time and place, help you relive it all over. I enjoyed reading about your time at the Jersey shore when you were younger. 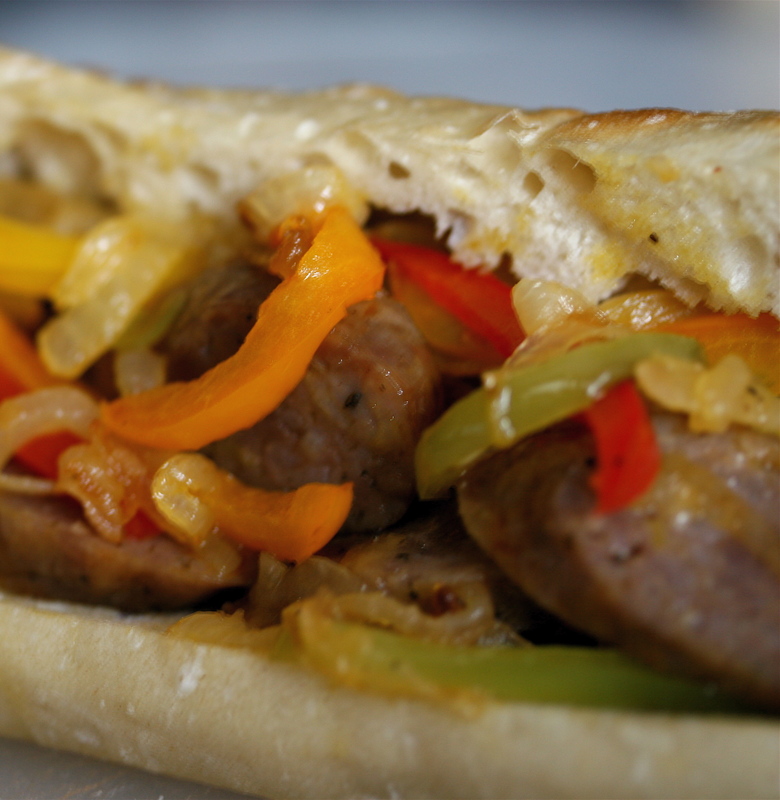 One thing about your recipe for sausage/peppers & onions is that you forgot the oregano. Next time put on some oregano it makes a great difference to the taste of the sandwich. This Saturday (5/21/11) I am making sausage/peppers & onions for my fishing club’s (Seaside Heights Fishing Club)BBQ on the beach in Seaside Heights. It is an annual party that we have on the beach at Heiring Ave. We set up our surf poles and fish and eat from 12 noon to 6pm. Thank you for bringing those wonderful childhood memories to mind. The NJ shore will always be dear to me. Tonight we dine as if we were at the boardwalk!